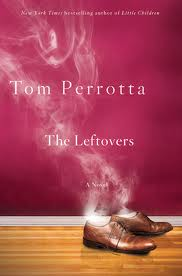 I am a fan of Perrotta, having first read and loved Little Children (which also became a movie). I enjoyed The Leftovers and I’m also addicted to the series. It is very creepy to watch the events on the screen….and some of the characters are pretty unlikable. But very addictive! You are so right about the HBO characters. At first I was very unsure if I was going to keep watching, but it’s become a bit of an obsession for me. I’m really impressed with Season 2 – very original! Thanks for reading and commenting and Happy First Day of Spring! I’ve seen this book but haven’t read it. Great review though. I think I’ll add it to my ever-increasing TBR. Yes, my TBR list is also VERY long, but there are worse problems! Thanks for reading! I recently finished watching Season 3 of the HBO series, The Leftovers. If you don’t know about this excellent show, here’s a review of the book – where it all began. Tom Perrotta, the author, is also one of the creators of the show. Coming soon, a review of the series! This book does sound very good. I can just imagine how awful that would be. Oh I know, the characters were so messed up. It made a good story to watch, but I would never want to be part of that chaos. Thanks for stopping by!